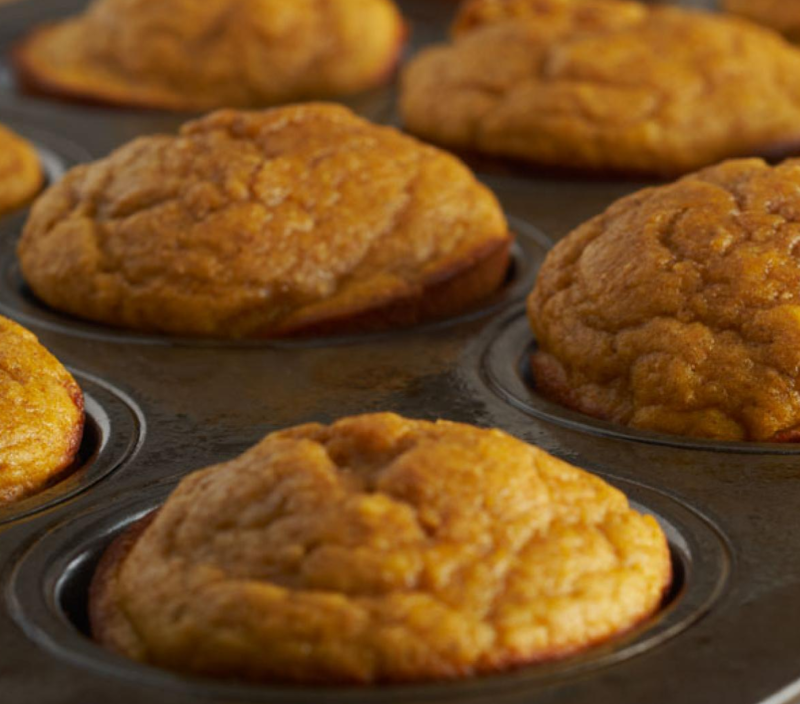 Pumpkin muffins can be enjoyed any time of the year. Preheat oven to 390 degrees F. Blend all ingredients until smooth. Divide evenly between 12 Pam-sprayed muffin tins. Bake for 35 minutes or until a knife inserted in the center comes out clean. The muffins will deflate a little while they cool.